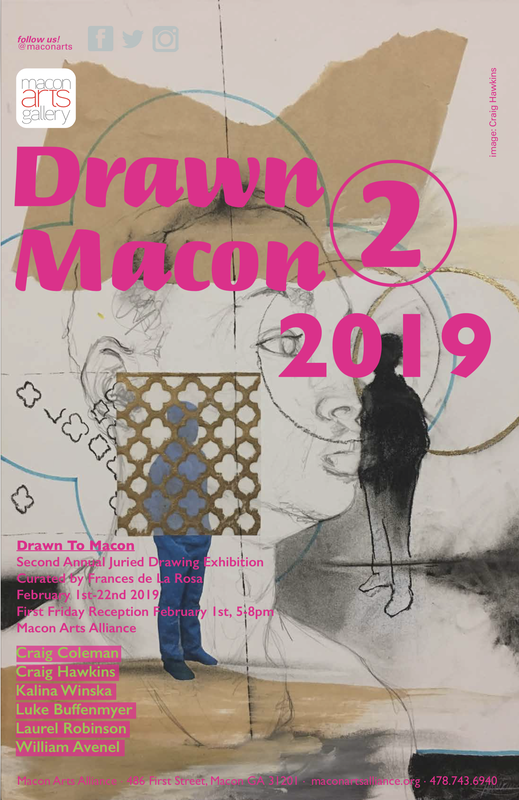 The Macon Arts Alliance is hosting an art exhibit for the second year in a row named “Drawn to Macon 2”. 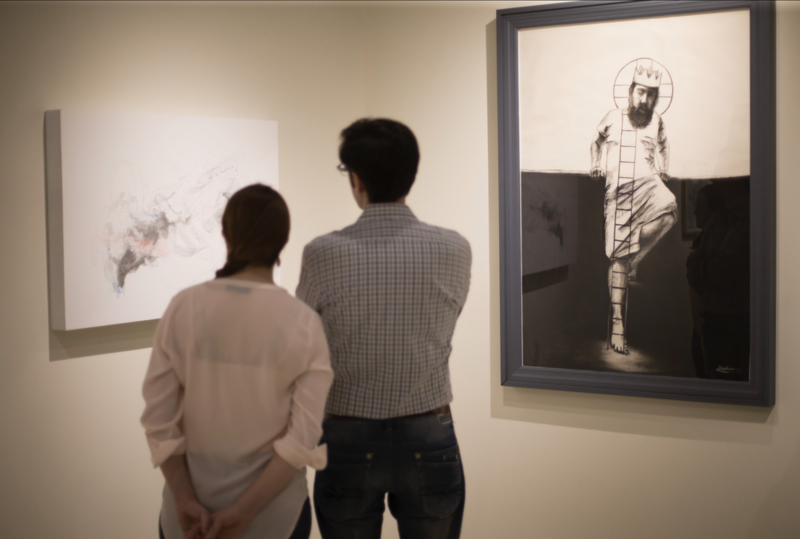 The exhibit centers around the ideas of the different types of drawing, and mainly focuses on art that pushes the boundaries of what has previously been done. This year, only six artists were featured at the exhibit. These artists are CraigColeman, Craig Hawkins, Kalina Winska, Luke Buffenmeyer, Laurel Robinson and William Avenel. One Billion Rising is the biggest mass action to end violence against women. One Billion Rising is a world-wide call to action based on the staggering statistic that 1 in 3 women on the planet will be abused during her lifetime. With the world population at 7 billion, this adds up to more than one billion women and girls. 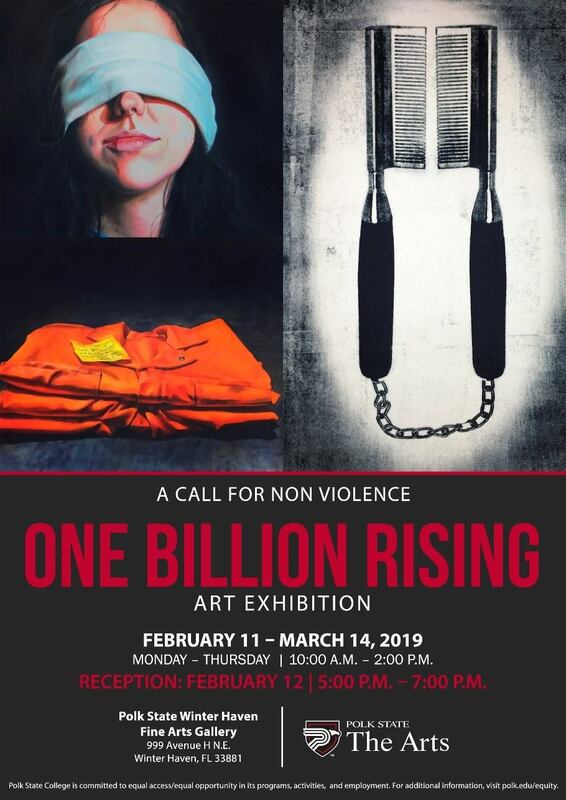 This exhibition will display artworks in reaction to this statistic AND to the current violence in our government, schools, streets, homes, and more. This exhibition will bring together artists of various world-views who will unite together to display work that calls for non-violence. This includes but is not limited to the advocacy of women’s rights, the protection and defense of indigenous lands and people, awareness of discrimination based on identity or race, awareness of refugee crises, environmental plunder and destruction, corporate greed, economic violence, poverty, state brutality and repression, war and militarism. Naomi Zacharias of Wellspring International. 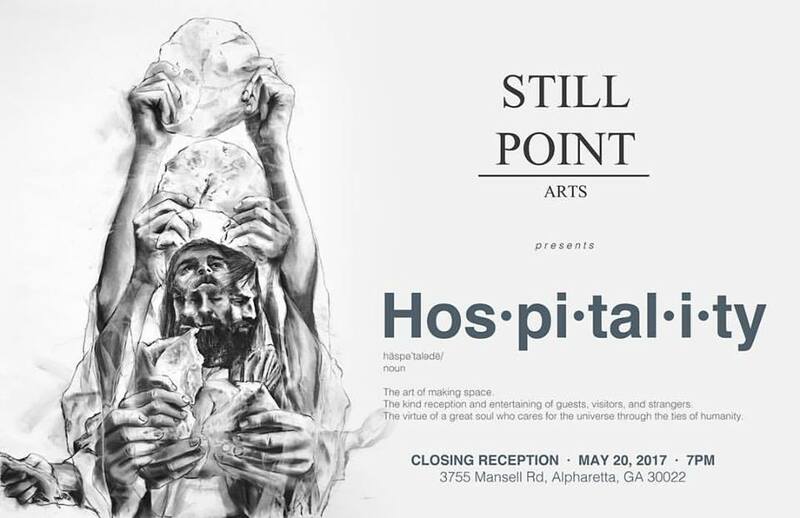 The intent of this exhibition is to witness to remarkable beauty in the face of suffering. 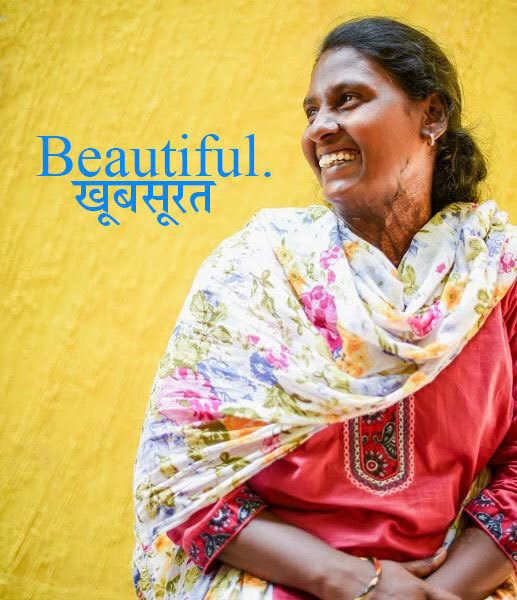 Beautiful also hopes to raise global awareness of burn victims in India. Optional donations will support the building of a new surgical burn and treatment center. I won 2nd place with a pillow painting! 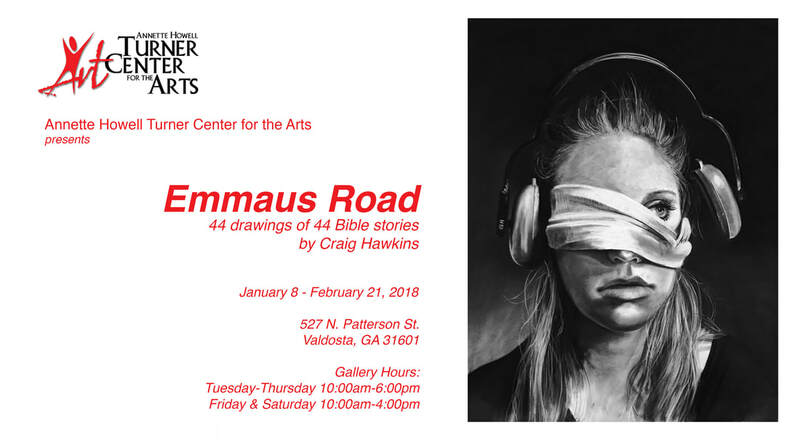 VALDOSTA — Biblical stories were told and the lives of immigrants were depicted Monday during the gallery reception at the Annette Howell Turner Center for the Arts. 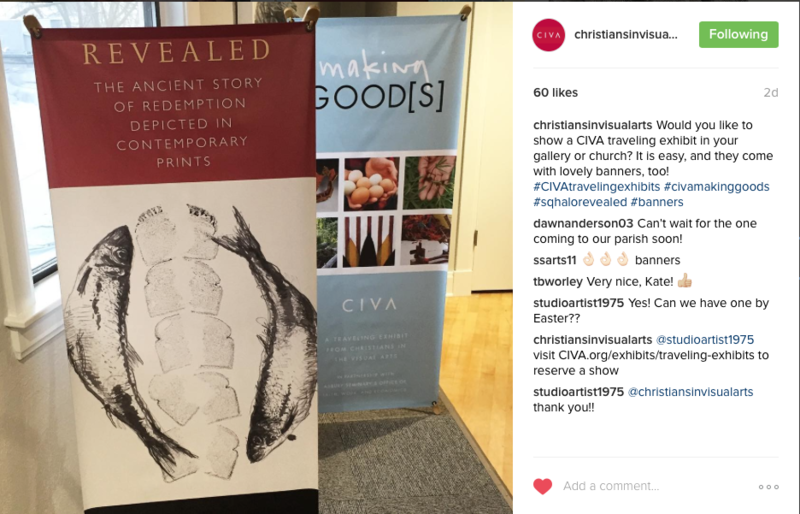 The community gathered at the swanky affair to examine the works of painter and illustrator Craig Hawkins and muralist Andrew Sabori. Both artists were introduced to guests during the reception, and their pieces will hang in the center until Feb. 22 for the public to view. 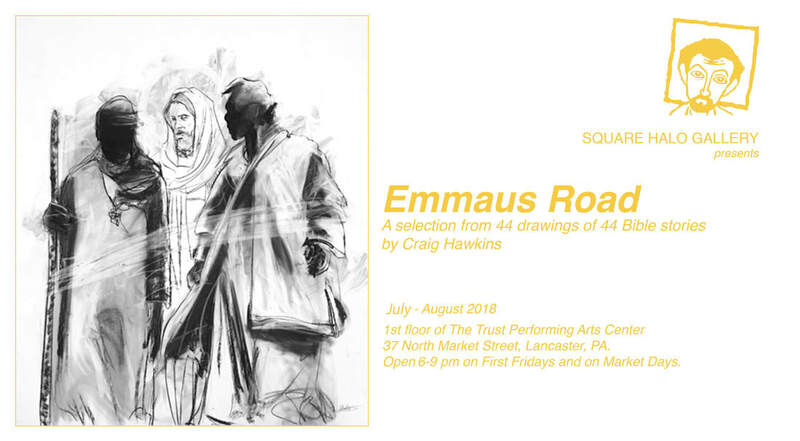 “Emmaus Road,” created by Hawkins, is a series of 44 charcoal drawings the artist paired with the sermons of Pastor Ken Webb of Christ’s Fellowship Church. “On average, they took about 45 minutes to draw,” he said. “At their longest, they took maybe an hour and a half to two hours.” Hawkins said Webb would send the sermons to him ahead of time, and he would spend the week reflecting on the sermon. 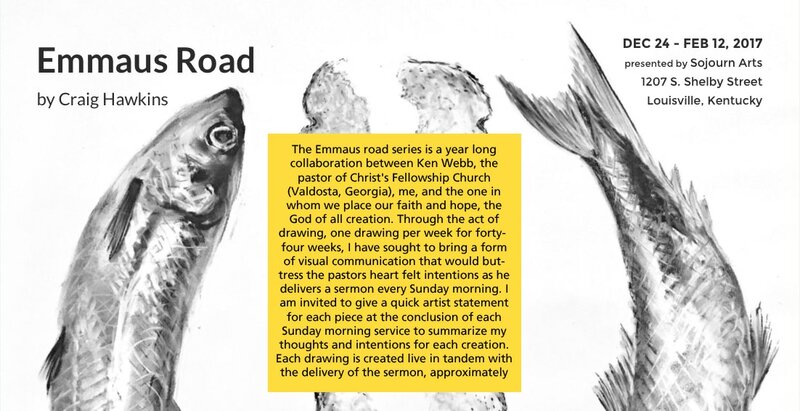 Once Sunday approached, Hawkins would work to illustrate the sermon through his drawings during the service and would present it to the congregation following the sermon. “I don’t feel like there’s a separation between who I am in Christ, as a Christian, in anything else that I do in life,” he said, “and, so, ever since I became a Christian, since then I’ve wanted to incorporate both my art and my faith together.” Hawkins’ pieces hang in the Price-Campbell Gallery and Margaret Mittiga Gallery. All of the drawings have a QR code next to them for guests to scan with their camera upon viewing. The code leads to a detailed explanation of that particular piece. To learn more, visit turnercenter.org. ​Amanda Usher is a reporter at The Valdosta Daily Times. 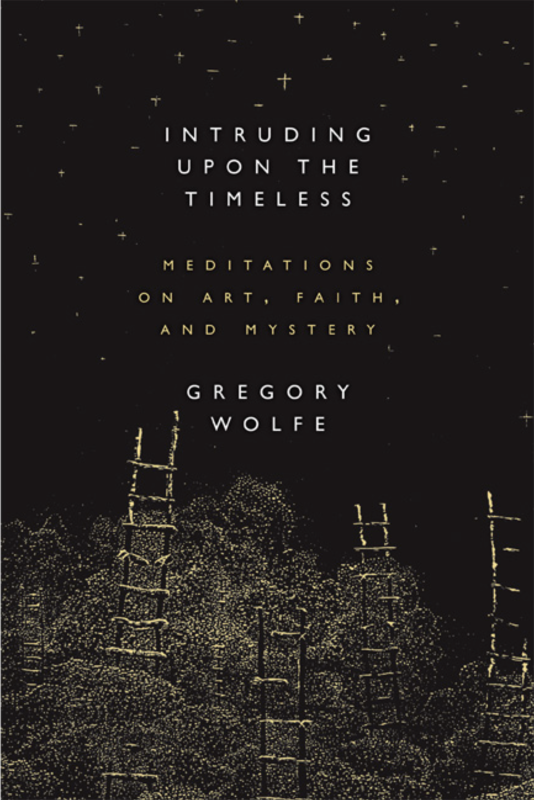 Intruding Upon the Timeless: Meditations on Art, Faith, and Mystery is a collection of essays, written over nearly three decades, by the founder and editor of Image journal, Gregory Wolfe. This revised, expanded edition includes not only the short, evocative meditations written for Image in its early years—which established Wolfe as a pioneer in the “arts and faith” movement and a groundbreaking cultural critic—but also more recent considerations of contemporary artists and writers such as Scott Cairns, Alice McDermott, Christopher Beha, and Edward Knippers. This edition features works* (many created specifically for this volume) by a generation of artists influenced by Wolfe’s writings. * Three of my works appear in this book! 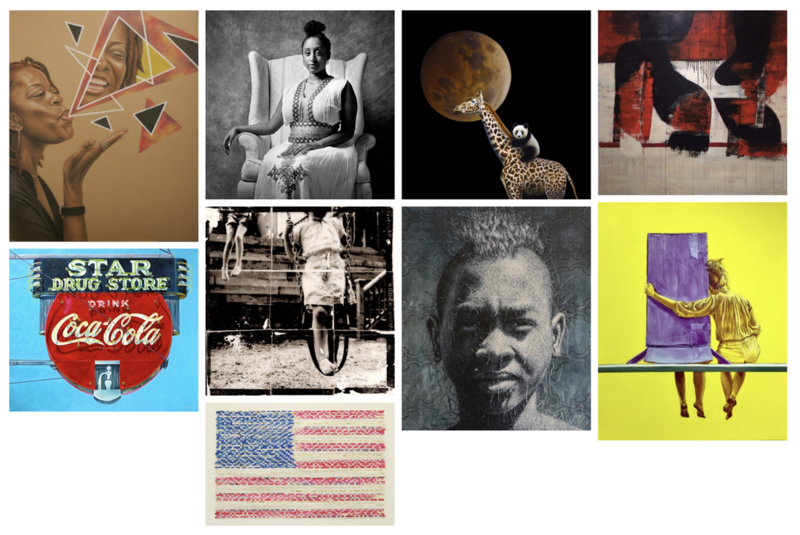 ​Mason Fine Art, Atlanta, Georgia On view through December 30th. 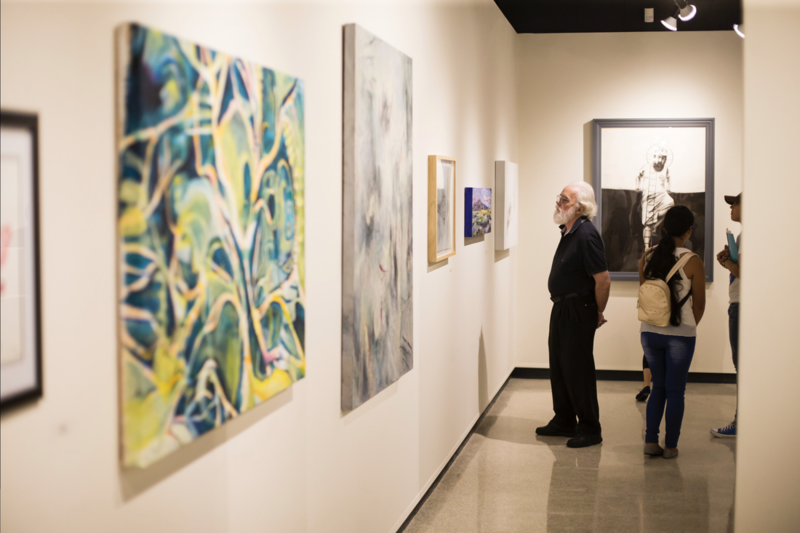 VALDOSTA — The Valdosta State University Dedo Maranville Fine Arts Gallery will kick off its 2017-2018 season with Art and Design Faculty Exhibition 2017. 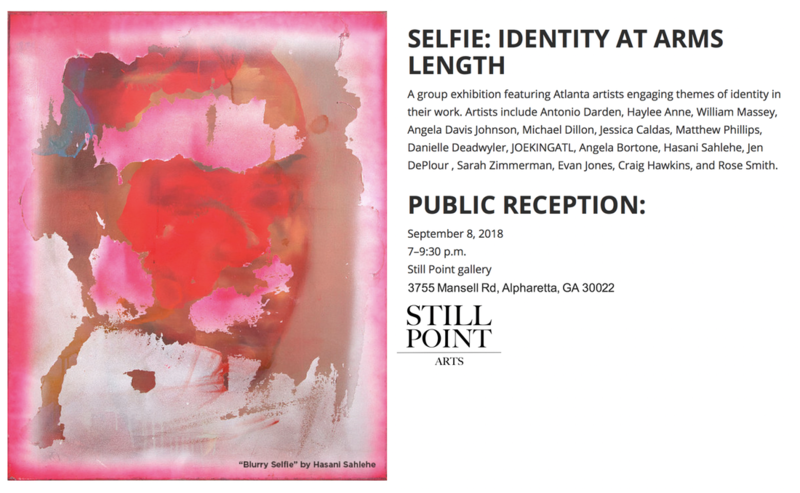 An opening reception will be held from 6 p.m. to 7:30 p.m. on Monday, Aug. 21. Art and Design Faculty Exhibition 2017 will run through Friday, Sept. 8. I won 2nd place in the Drawing category! Sojourn Arts is a ministry of Sojourn Community Church in Louisville, KY. We cultivate and celebrate good artistic work. The first thing we learn about God in the Bible is that he created the universe and everything in it. God made all humans in his image, creative like God. We want to equip people to utilize their creativity to honor God and benefit other people.